Good Night Brave Warrior: Open for business! 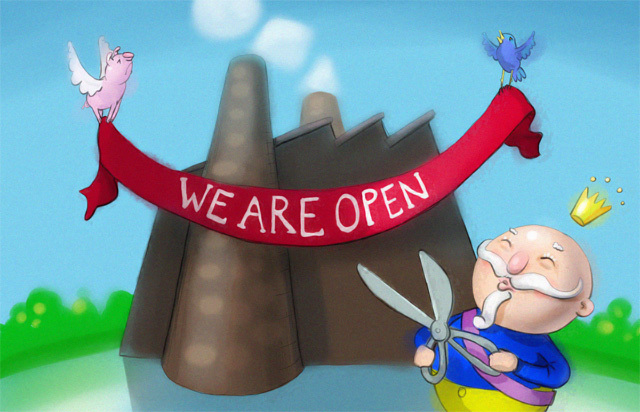 We have pulled the lever and the factory is slowly starting up. What it will produce we don’t know. All we know is that we have a big supply of ideas that we’ll pour onto the conveyor belt. Then the complex system of machines takes over. Chop them up, combine and filter out. We add selected pixels of the finest quality and polish with the purest of algorithms! We are super thrilled about running our own business. Back to basics; craft a product and put it out on the market. And games must be the ultimate product! The sweet union of art and logic.